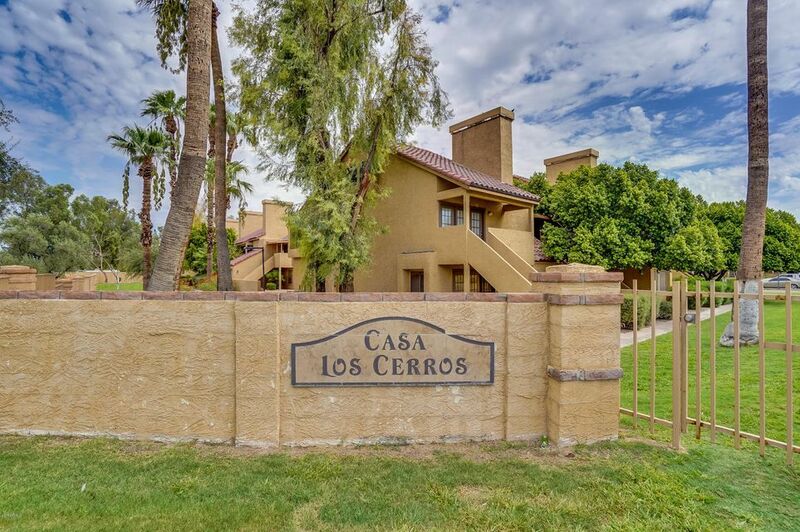 Lovely two bedroom, one bath condo in the gated community of Casa Los Cerros. The community features a heated pool and spa as well as green belts with picnic tables and grills. The tile roof has recently been replaced. The condo features a fireplace, covered front porch, front floor to ceiling windows, ceiling fans, vaulted ceiling, granite kitchen counters, stainless sink, stove, fridge, microwave, dishwasher, washer/dryer, attached enclosed, single car garage with automatic door opener, outdoor storage room. HOA allows pets weighing less than 20 pounds. 5 min. to fwys, 10 min. to airport. Quiet, secure community.